NSD Powerball India | Our lifetime guarantee! When doing business over the web, the guarantee a product offers is very often its lifeline. After more than eight years of selling the NSD Powerball world-wide, both through our extensive dealer network and online through our online store, we have seen first-hand its importance in helping you to make a decision to purchase our products. You as our [prospective] customer have arrived to the point where you've enjoyed the site, the product looks delicious (you've got to admit, these NSD Powerballs look almost good enough to eat), your curiosity has been well aroused and you're possibly thinking, what the heck, you just might go for it! 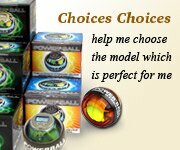 Its excellent, I am using my Powerball everyday and it has helped me loads in my exercises". 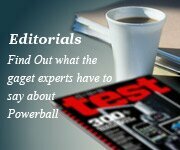 "Powerball is very good. I use it for my patients to treat them and have found amazing results". Crafted from the finest materials, each component is hand assembled to create a superlative instrument which is incredibly durable and which will greatly exceed your expectations. Like all finely balanced products however, NSD Powerball will be affected if it is dropped onto a hard surface from a height and we therefore try to cushion the blow of such accidents by offering you a lifetime of free replacement parts for your new purchase along with full instructions on how to insert them should the unexpected occur except the digital speed meter. Along with this, we also will provide a free repair service in the event that you are unable to get your NSD Powerball back to its former glory following an accident - simply post it back to us and we'll repair or replace the necessary components and send it straight back to you by priority mail - without charge. Wondering about the secret of how to break the 13,000rpm barrier? will be glad to help where required. The success of our product is linked to your absolute and total enjoyment [of it] and whether you will go on to recommend NSD Powerball to your friends and colleagues in the end of the day. We like to think of ourselves as a 100% customer driven organisation who will literally bend over backwards to ensure that you are completely satisfied with both us and the product that we are offering to you. All that we have written above is accurate in terms of what it is we do here each day and we will greatly appreciate your custom should you decide to come onboard and experience the phenomena that is NSD Powerball for yourself [at first hand]. I trust that the above is to your full and complete satisfaction and thank you for your valued consideration of this exciting new product. All content © RPM Sports and / or Navitas International 1998-2008 unless otherwise stated. No part of the site may be copied or reproduced without written permission.